A local baker makes magical bread by an authentic recipe in the town of Stara Zagora, Bulgaria. 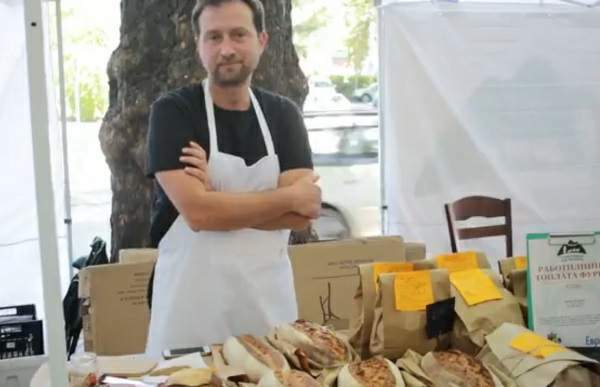 Bogdan Bogdanov is announced by UNESCO for Bulgarian Live Treasure because of the production of traditional leavened bread by an ancient recipe. The bread made in the Toplata Furna (The Hot bakery) does not contain preservatives and has amazing taste. It is prepared from flour, spring water, salt, and love. The magical component is wild leaven. These are naturally existed Lactobacillales in the flour and the water (same as in the traditional Bulgarian yogurt). It took few months to Bogdan Bogdanov until he cultivates the first wild leaven. 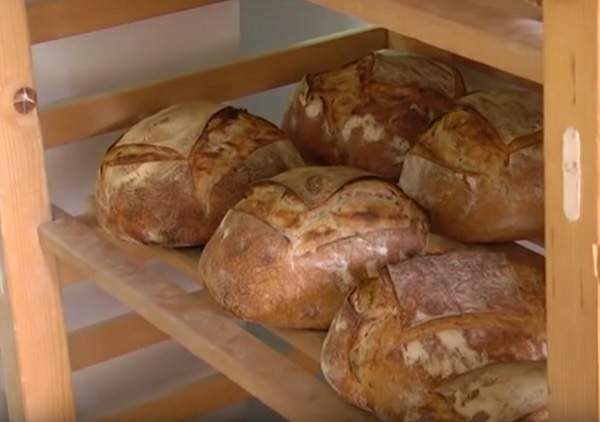 Now it is easier – the baker just keeps it under constant temperature and feeds it few times a day, because this bacteria is alive and has to eat. The exact flavor-forming bacteria – lactobacillus brevis became an object of scientific interest. A Bulgarian microbiologist made a study of the wild yeast’s strains. When people feed themselves with bread like this, they feel in perfect health. Kneaded and baked by Bogdan Bogdanov, this bread restores a forgotten ancient tradition. Only 70 breads are produced in the Toplata Furna (The Hot bakery) per day. All of them are wrapped up in paper made by pure cellulose to save their aroma. The more the bread stays, the more delicious it gets. Bogdan dreams not to the increasing of the production, but to teach more people to bake bread at home. That way will be preserved the ancient Bulgarian knowledge for bread not only as a food, but as a foundation of a strong immune system, and a good functioning of the body.